There's nothing like a defiant toddler to drive a parent crazy. Those strong-willed little creatures, with huge emotions and a stubbornness that could put any mule to shame, know how to lure us into the most hair-tearing battles. But being the adults here, we should know which battles just aren't worth our time - at least in theory. In the absence of that knowledge, we interview family therapist-turned-coach Kristy De Leon to steer us away from power struggles that are better left avoided. Just saying the words 'dinner time' seems to be enough to make your toddler's head explode. The plate's down and it's daggers at dawn. You know from the look on their face that eating is not a verb you'll be getting anywhere near with your little one tonight. Fussing? Throwing? Boycotting? Now we're talking. You could feel indignant and exasperated at yet another mealtime ending in a sorry story, or you could heed De Leon's advice. "Of course not eating is a major concern. Is my child getting enough nutrients? How much more of a cranky bear will he be if he is in constant hunger mode? But what parents forget is a toddler's perspective on food is much different than ours. Unlike us, they eat when they are truly hungry, whereas we tend to eat out of boredom, when something looks good, or to meet an emotional need." She adds, "A toddler's nutritional intake is gathered over a week's time. It is not about what and how much they are eating on any given day but rather, how much they are eating over a span of a week. Depending on growth spurts and illness (since toddlers seem to have a perpetually runny nose), there are some days where they might eat only a little and other days where they seem to be a bottomless pit." So mom, you can relax. Keep offering, and let them eat when the urge strikes. Arghhhhh! The ultimate in all parent stresses. Your toddler looks tired and is acting like a horror. You "know" they need a nap, but they have other plans, and they don't include sleeping. You're bound for a course of naptime drama, but De Leon says it's one to steer clear of. "At some point, that blissful nap time where we as parents could take a breather and maybe even go to the bathroom in peace will no longer exist. It is hard to let go of. I fought it too, but it really is for the best. Naps should not be World War III. If after 20 minutes your toddler resists sleeping, then it is time to call it. Move on to more play time, but resist the temptation of your toddler napping after 4 pm. This will only throw off everyone's night and next day. It's time to start looking at an earlier bedtime and yes, this might mean an earlier wake-up time, BUT at least your child will be sleeping throughout the night and you will be on your way to getting him into a sleep routine that is conducive to starting preschool." Getting your child to sit still and stay still at the dinner table seems like something that only comes true in fairytales. Instead, the scene is more likely to go something along the lines of you chasing your child around the kitchen with a spoon full of food in hand, feeling like an exhausted, stressed-out schmuck. But should we even go there? De Leon says big thumbs down for you if you do. "Chasing your child around the house or restaurant in hopes of getting him to eat one or two bites of something begins to form a stressful relationship with food and meal times. Do not chase your child around. When this has been an issue for the parents I work with, we turn to two main strategies. One, prior to meal time get those wiggles out by engaging in active play. Plan that play date or trip to the park. This will not only get your toddler tired enough to want to sit but will also increase his appetite - which helps with concern number one." "Two, if even after running around your toddler still struggles with sitting to eat then I work with parents on accepting how many minutes your child can tolerate sitting right now. If it is only three minutes, that's ok. Make those three minutes enjoyable. Then slowly start increasing the time, maybe you can increase by 30 seconds or just 10. The point is, engaging your child in a happy interaction creates a positive association with meal time. I encourage parents to avoid the TV or tablet while your child has food in front of them. And avoid being on your phone or electronic device as well. 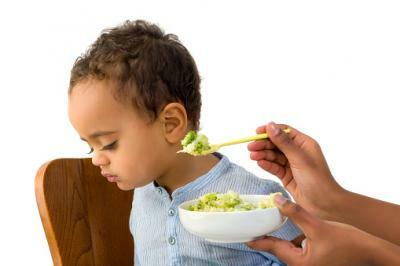 Mealtime is a great time to focus on creating and building social skills." Sick of the sound of your voice having asked your toddler to pick up her toys for the gazillionth time - yup, so are they. You could just go on sounding like a broken record nobody is listening to, or you could see it from your toddler's perspective instead with a little insight from De Leon. "Every day is a new adventure and a new opportunity to see how messy the toys can get. Learning responsibility is important and this is one of the first opportunities children get. But sometimes or the majority of the time, it is unrealistic to expect your toddler to clean up all of the mess they just spent 45 minutes creating. Instead of battling with them to clean it all up, it may mean starting out with having them clean up along side you for two minutes then working your way up to longer periods of time. It may also mean cleaning up along side them or rethinking their accessibility to toys. 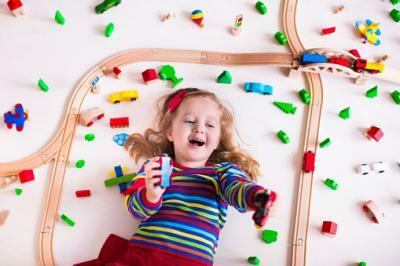 Consider implementing the structure of picking up the toys before being able to get out another toy." 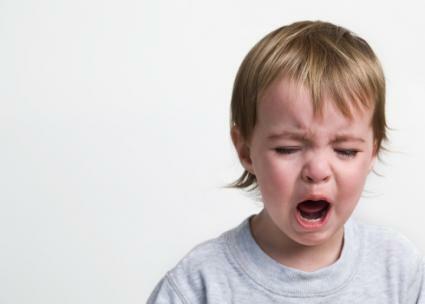 Potty training - it's the dirty word of toddlerhood. Feeling like you're doomed before you've even started can be a special kind of toddler horror, for all parties concerned. Forcing a tot onto the potty is probably not one of our finest parenting moments, and so it's time for a little rethinking, suggests DeLeon. "Potty training, for some, is what nightmares are made of. The bribing, crying, and accidents can drive any parent insane! Children are curious about the big white chair and the noises it makes. Your child might start off by showing interest, but when they realize they have to go to the bathroom several times throughout the day and interrupt playtime to do so, they start disliking the idea. If they start fighting you, that is your cue to back off. They weren't truly ready and that is okay. Instead, wait until they start seeing the other children and older friends use the restroom, and you'll have it down before you know it." Phew! That's five battles we can cross off our lists. Now, what about the other 95 toddler power struggles we're dealing with?